The weather forecast for Zion National Park I shared with my buddies last Wednesday night was not my ideal tent camping weather. Seeing snow on the mountain tops east of St. George, Utah, I thought it a wise choice: a hotel and day hiking in the park over roughing it. The day was a spiritual retreat, of sorts. Colorful rock formations millions of years in the making, condors and hawks soaring overhead, tourist- entertaining squirrels and river that provided all of it to marvel was energizing. There’s a scripture that speaks to not worrying over the troubles in life. GOD provides and watches over us. 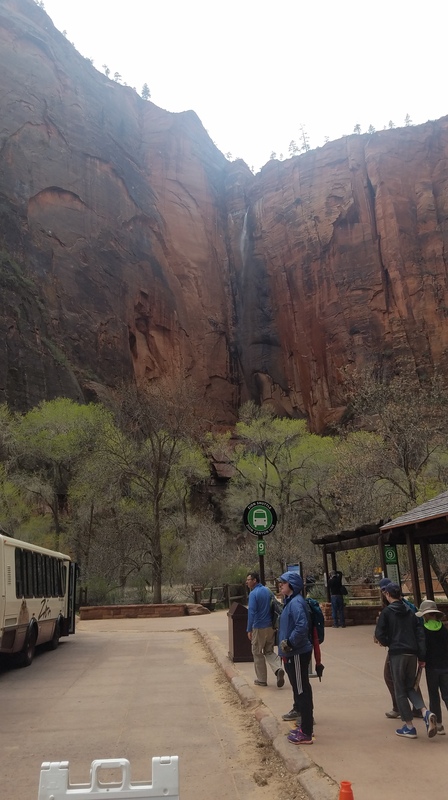 But places like Zion show me that everything can balance out – when you take the time to marvel at creation.